This gentle wash cleanses with natural botanical surfactants and safely nourishes with Vitamin E and Pro-Vitamin B5. Containing soothing certified organic Aloe Vera Gel, relaxing herbs of Chamomile, rich natural oils of Sunflower, Almond and Vitamin E.
The Jason Soothing Aloe Vera Body Wash - 900ml product ethics are indicated below. To learn more about these product ethics and to see related products, follow the links below. Ordered as a gift so I haven't personally used this product. 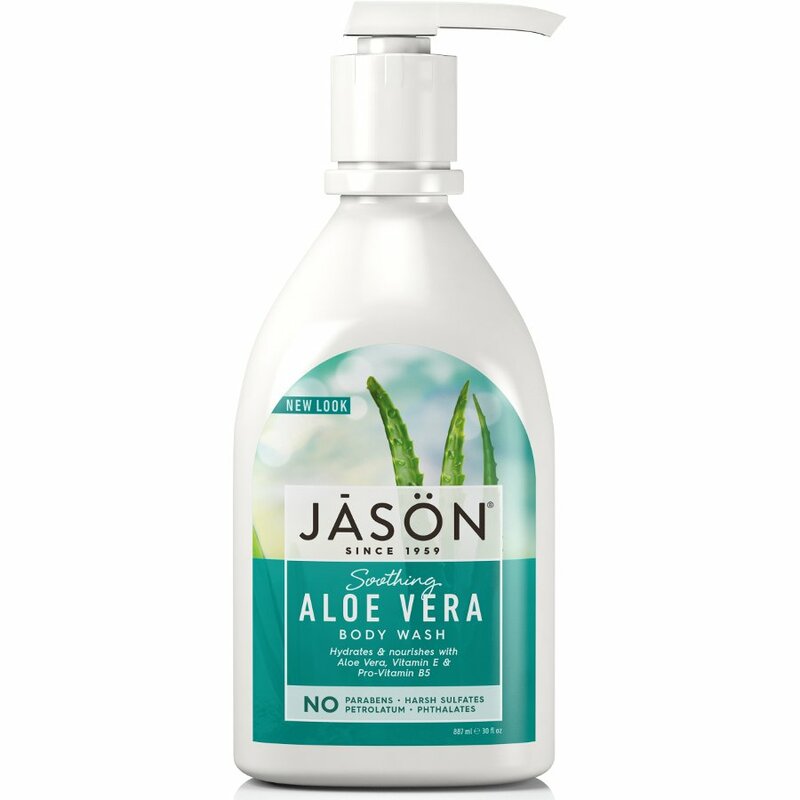 There are currently no questions to display about Jason Soothing Aloe Vera Body Wash - 900ml.